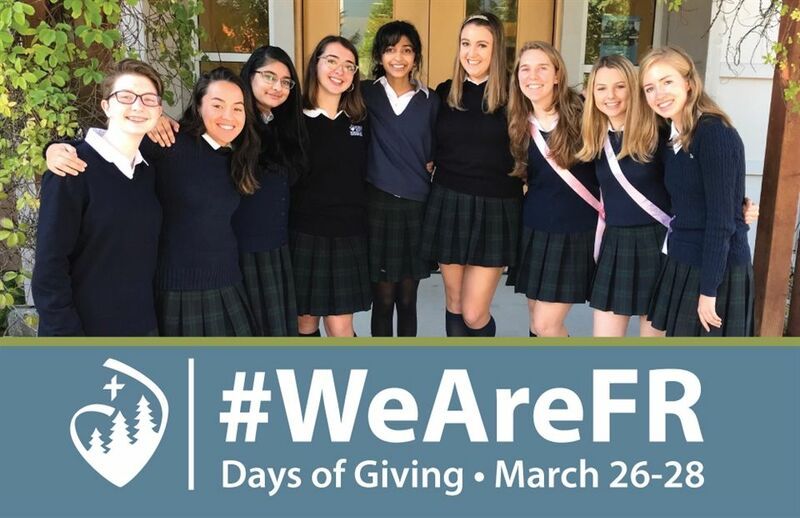 Join us for the 3rd Annual #WeAreFR social media campaign on March 26-28. Look for fun videos, throwback photos and more Facebook posts during the week. Make a post yourself and share and help meet the match. Our Challenge: Rally 200 donors in 72 hours to secure the $10,000 match graciously given by the Lee Family. Tom, Agnes and their daughter Sydney ’16, agreed to match all gifts up to a total of $10,000. Join in and help Forest Ridge reach this goal for its current students. Your Year, Your Gift: Alums, make a gift in honor of your graduation year. If you graduated in 1999, consider giving $19.99, or $199.90…or be creative and send in $100.99. All gifts are very much appreciated!